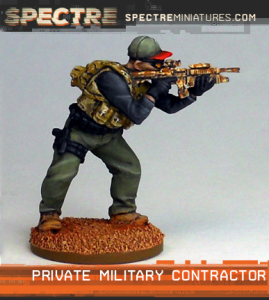 Spectre Miniatures has posted up a new set of rules to go with their modern military miniatures. You can check out and download Spectre: Operations for free from the company's website. 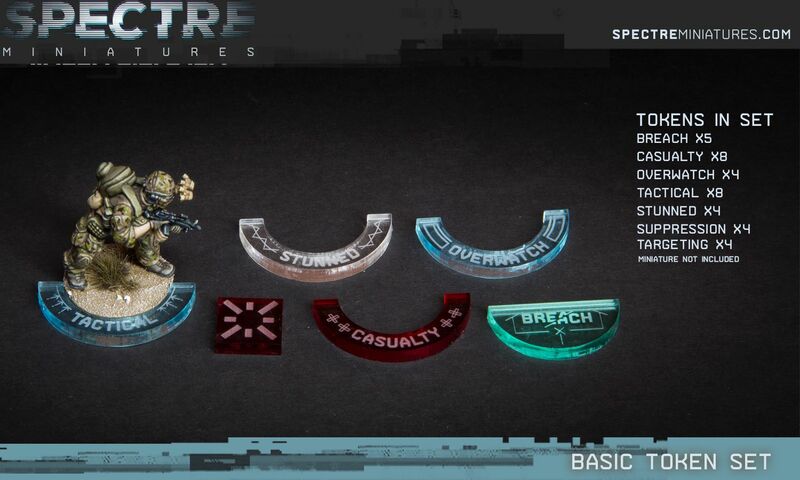 They've also posted up a tokens set that you can buy to help you play the game. 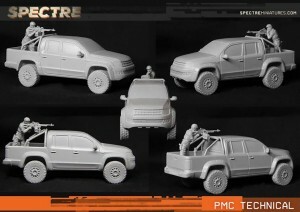 Spectre Miniatures is showing off their PMC Technical vehicle they've been working on. Looks pretty good. We are very pleased to be able to present the most ambitious product in our Kickstarter - The PMC technical. This is the resin production cast of the final product after assembly. We are very pleased with the quality we have been able to achieve and we are now confident a line of vehicles is viable! 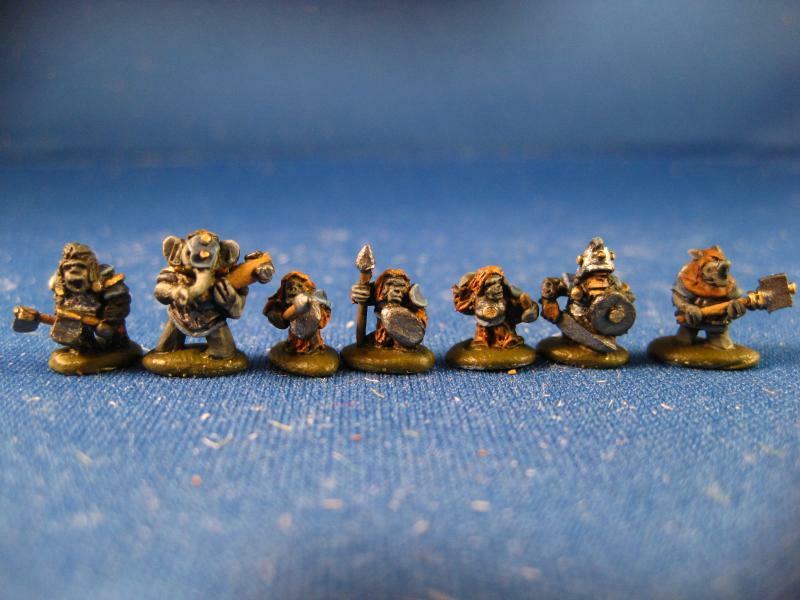 Spectre Miniatures is going to be showing off some more of their models all painted up in preparation for the opening of their webshop. Here's the first. In preparation for the online store we are having some of the sets painted that we didn't have a chance to do ourselves while the Kickstarter was running. Here is the first of 2 sets of PMCs from John Morris at Mystic Spirals. He is doing a fantastic job and has really bought them to life! The online store is very close to being finished (we wont be posting anything to anyone until the KS have everything though). 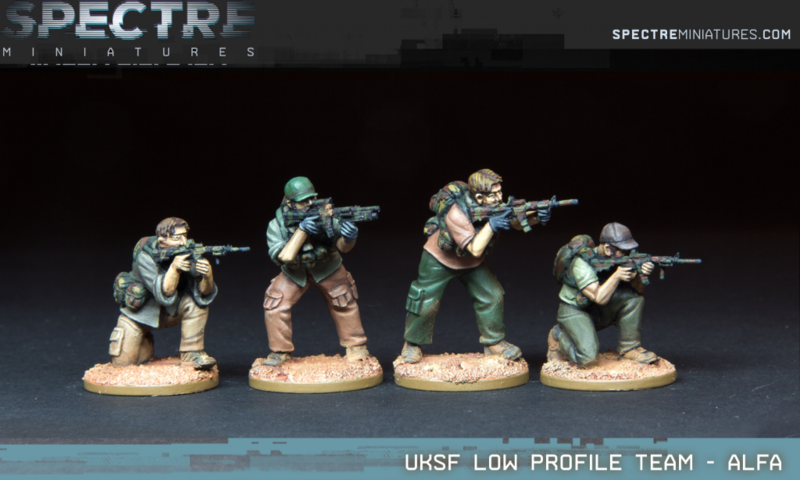 Spectre Miniatures are in their final hours up on Kickstarter. They've unlocked all they can, so it's just watching the clock run out now. Thank you very much everyone! We are very pleased that the technical has been unlocked as we really wanted to test the market with this one. 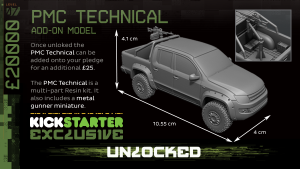 To receive the technical you must add on an additional £25 to your pledge, this can be done at any level! Now everyone pledging at intelligence level or above will get 7 free figures and the weapons cache - that's over £20 of freebies!